This year we have decided to take you on a virtual tour of some of Germany’s largest cities – we’ll be introducing you to a new city every week with information, top attractions and much more! 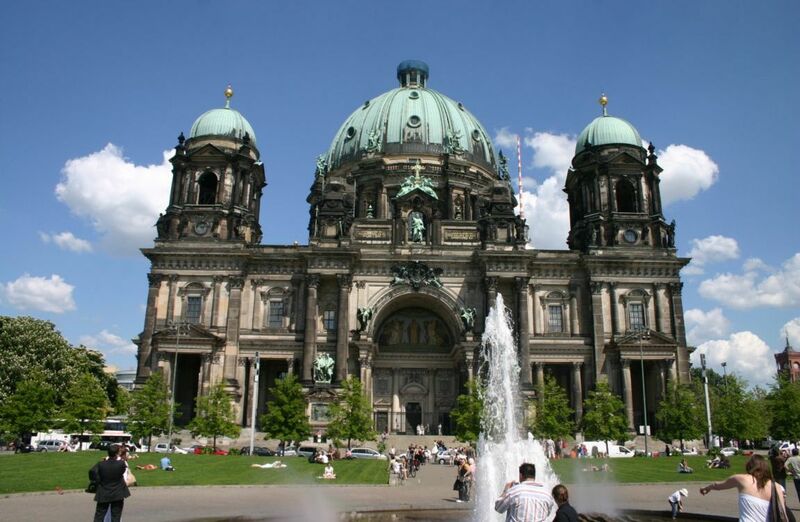 This week we’ll be starting with Germany’s capital and one of our very favourites: Berlin! 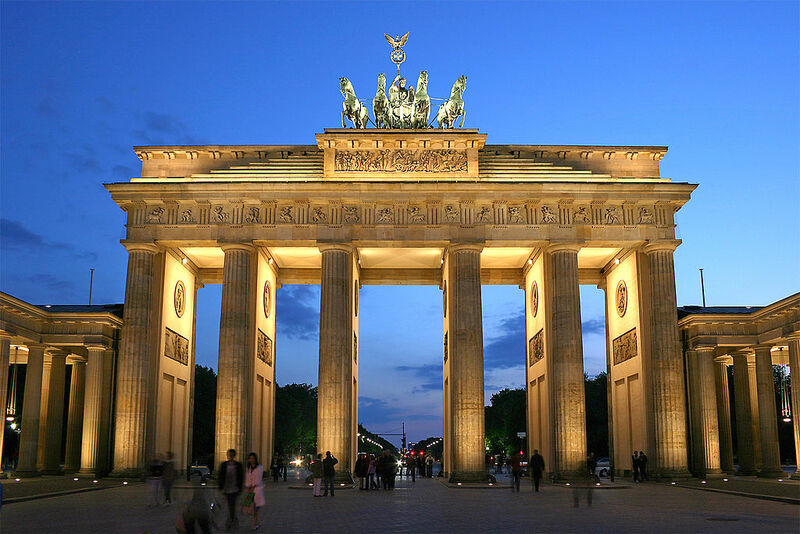 With 3.5 million inhabitants from 184 different nations, Berlin is Germany’s largest city. The flag of Berlin has three stripes, two red and one white, with a bear (civil flag) or the coat of arms of Berlin (state flag – see below). 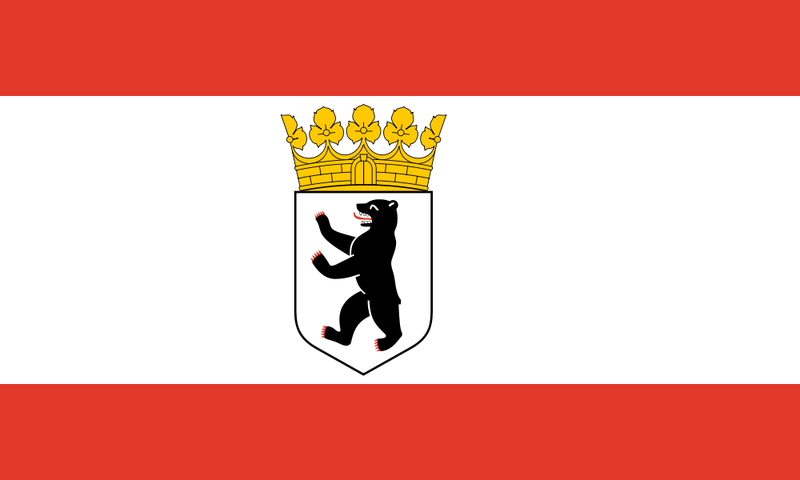 The bear on the flag is apparently a pun on the city’s name (Berlin = Bär – lin) and this has been the official flag of Berlin since the reunification in 1990. Reichstag – the Reichstag was completed in 1894 following German national unity and the establishment of the German Reich in 1871. During World War II the Reichstag suffered damage and destruction and due to a fire and other damage, the original dome was demolished in 1954. After its restoration in 1961, the building was used as a venue for parliamentary committee meetings. Many momentous events in German history have taken place in the Reichstag with one of the most notable ones being the official reunification of Germany on October 2, 1990. Today, the Reichstag is a visitor must – visitors can register online and then visit the Reichstag for free, including a lift to the top of the building and an audio-guide as visitors walk up the glass dome with a view of the entire city – from the Tiergarten to the Fernsehrturm. Brandenburger Tor – the Brandenburg Gate is an 18th century neoclassical triumphal arch at the junction of Unter Den Linden and Ebertstraβe. It was commissioned by King Frederick William II of Prussia as a sign of peace and was completed in 1791. Whilst the gate suffered considerable damage during World War II it was fully restored from 2000 to 2002. Today it is considered as a symbol of the vast German history, but also as a symbol of European unity and peace. Berlin Wall – the Berlin Wall divided Berlin into East Berlin and West Berlin between 1961 and 1989. The wall was 155km long and 3.6m high with more than 300 watchtowers, 20 bunkers, thousands of soldiers, guard dogs, alarms and ditches to trap vehicles. Whilst there are no exact figures, estimates show that approximately 5,000 people were successful in crossing the wall, whilst more than 130 people died trying. 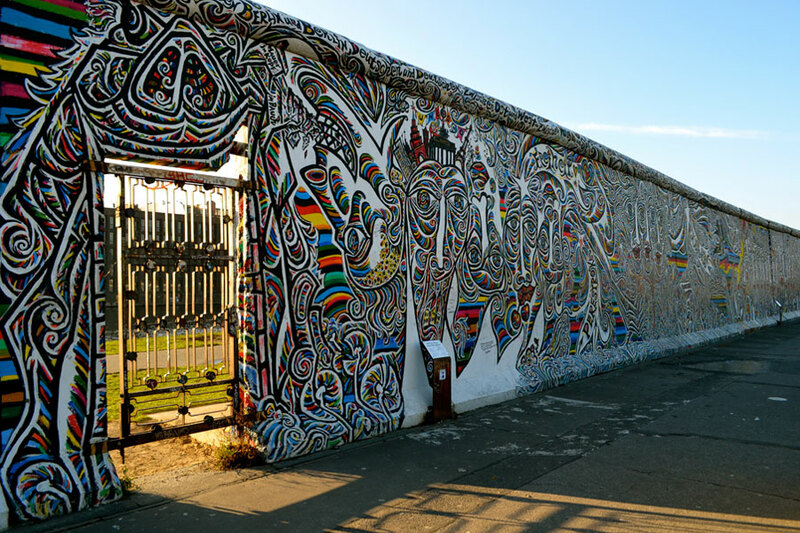 Nowadays there are some remains of the Berlin wall covered in graffiti at the original site (the East Side Gallery) and scattered across the city and there is a brick outline of the entire length of the wall throughout the city. “Berlin ist mehr ein Weltteil als eine Stadt” (“Berlin is rather a part of the world than a city”).